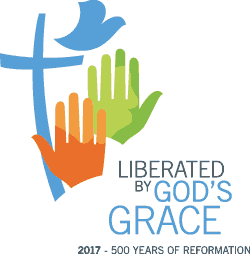 (LWI) - The Lutheran World Federation (LWF) is inviting on a journey around the world to witness how the Reformation has become a global citizen. From 11.00-23.00 CET on 31 October, which is Reformation Day, LWF will broadcast a live stream of worship services from its seven regions, showing how the member churches commemorate the 500th anniversary of the Reformation. “The Reformation is a global citizen. With this live stream a great opportunity is provided to grasp in tangible ways how churches worshipping locally are connected globally through communion relationships,” says LWF General Secretary Rev. Dr Martin Junge. The journey begins in Denmark and will take the audience to Tanzania, Germany, Hungary, Hong Kong, the United States of America and Argentina. Three ecumenical services, including the Joint Commemoration in Lund, Sweden, and the Global Commemoration in Windhoek, Namibia, will show how the Reformation anniversary has been commemorated in a spirit of ecumenical accountability. The live-stream will show the rich diversity and unity of the 145 Lutheran churches that make up the communion. Between the services the audience will be introduced to the seven regions and the churches there. Viewers will also have a chance to learn how the LWF has commemorated the Reformation as a communion of churches and what the next steps entail. Viewers can join the discussion in social media, share their impressions using the hashtag #ReformationDayLive and take part in this global journey of commemoration. The live-stream will be available on the LWF Facebook and YouTube pages.